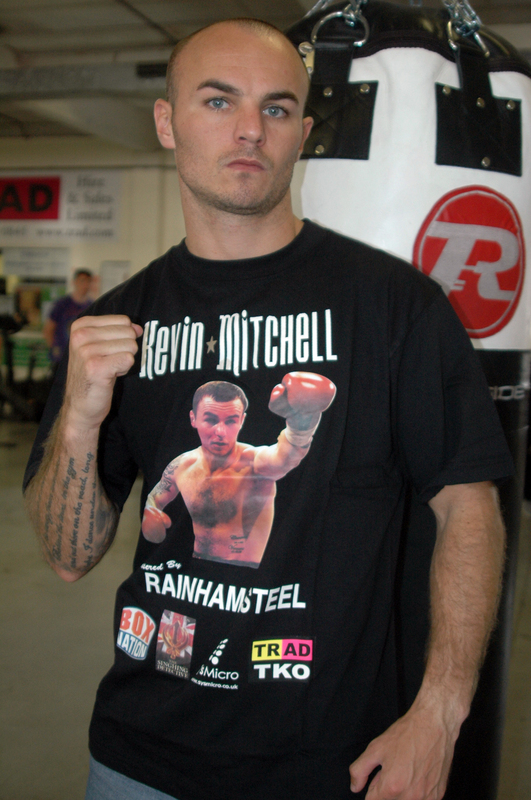 WBO Inter-Continental Lightweight Champion Kevin Mitchell (pictured) today launched his own clothing and fightwear brand, with a limited edition T-Shirt created especially for his upcoming World Title showdown with Ricky Burns, which takes place at the SECC in Glasgow next month. Following a training session earlier today Kevin spoke briefly about the new clothing line. “Yeah, I’ve got a new T-Shirt, now my fights are getting bigger I think it’s time I had my own brand. I’m working with the TRAD TKO on selling the T-Shirts, they’ll be selling them through the gym shop and on-line, so we’ll start getting them out there this week. Kevin then went on to say how fans could win one of his new T-Shirts, as well as a signed Burns versus Mitchell poster. I’m really getting behind girl’s boxing, I’ve become a big fan and am really looking forward to the World Boxing Federation Women’s World Championships next year. I have to admit I wasn’t a big fan of girl’s boxing until I watched the Olympics. Saying that I have always supported Marianne (Marston) and Areti (Mastrodouka) as they are gym mates at the TRAD TKO. But I’ve not seen Marianne or Areti fight yet, so watching Katie Taylor, Nicole Adams and the rest of the girls at the Olympics is what opened my eyes and gave me the insight, they proved just how good fighters girls are and now I’m a big fan.